The Canine Health Information Center, also known as CHIC, is a centralized canine health program jointly sponsored by the AKC/Canine Health Foundation (AKC/CHF) and the Orthopedic Foundation for Animals (OFA). The mission is to provide a source of health information for owners, breeders, and scientists, that will assist breeding healthy dogs. • to base the availability of information on individually identified dogs at the consent of the owner. Now in place and accepted within the dog breeding community, the CHIC program offers benefit to breeders, buyers, parent clubs and researchers. For breeders, CHIC provides a reliable source of information regarding dogs they may use in their breeding programs. Breeders can analyze the pedigrees for proposed breeding for health strengths and weaknesses as well as the traditional analysis of conformation, type, and performance strengths and weaknesses. For buyers, the CHIC program provides accurate information about the results of a breeders health testing. For diseases that are limited to phenotypic evaluations, there are no guarantees. However, the probability that an animal will develop an inherited disease is reduced when its ancestry has been tested normal. Further, as more DNA tests become available and the results are entered into CHIC, the CHIC database will be able to evaluate whether progeny will be clear, carriers, or affected. For parent clubs, considering establishment of health databases on their own, CHIC is the answer with no upfront investment required by the club. The CHIC infrastructure is supplied and maintained by the OFA. The data is maintained in a secure environment with trained staff. The services are not subject to the time, technology, and resource constraints that parent clubs might face on their own. This frees parent clubs to focus on their strengths of identifying health concerns, educating their membership (like in this article!!) and encouraging participation in the CHIC program. For researchers, CHIC provides confidential and accurate aggregate information on generations of dogs. CHIC information will also be useful for epidemiological studies, enhancing our knowledge of health issues affecting all breeds of dogs. Once included in the CHIC program, the breed specific requirements are dynamic. As health priorities within a bred change, or as new screening tests become available the breed specific requirements can be modified to reflect the current environment. A CHIC number is issued when test results are entered into the database satisfying each breed specific requirement, and when the owner of the dog has opted to release the results into public domain. The CHIC number itself does not imply normal test results, only that all the required breed specific tests were performed and the results made publicly available. Dogs issued a CHIC number must be permanently identified in order to have test results included in CHIC. Permanent identification may be in the form of a microchip or tattoo. The other aspect of the CHIC program is the CHIC DNA Repository. The purpose is to collect and store canine DNA samples along with the corresponding genealogic and phenotypic information to facilitate future research and testing aimed at reducing the incidence of inherited disease in dogs. The hope of this program is to facilitate more rapid research progress by expediting the sample collection process; provide researchers with optimized family groups needed for research; allow breeders to take advantage of future DNA based disease tests as they become available and to foster a team environment between breeders/owners and the research community improving the likelihood of genetic discovery. DNA samples can be submitted by blood sample or cheek swab. The blood sample is the preferred method due to the stability and purity of the sample. There are small fees for placing samples in the bank, $5 for cheek swabs and $20 for blood samples. The DNA samples are stored at UC Davis Veterinary Genetics Lab and University of Missouri-Columbia Small Animal Molecular Genetics Lab. Any legitimate research project focusing on canine health is eligible to receive samples. Each project must be approved prior to release of the samples. If a DNA–based disease test becomes available in the future, owners may request that any remaining samples of their dogs be forwarded to the appropriate licensed lab for testing. The owner remains responsible for any lab costs associated with the test itself as well as the direct costs to prepare and ship the sample. 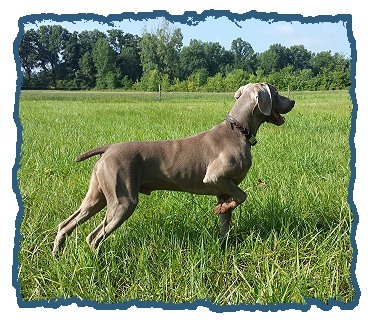 We would like to encourage members of our Weimaraner breed to embrace the CHIC program. 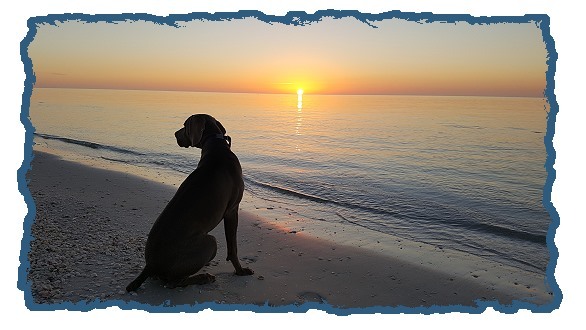 As we all strive to produce and own healthy happy Weimaraners, a program such as this help ensure we are moving in that direction.